Learn Effective BJJ, Muay Thai, MMA & More From The Best Instructors In Orange County! 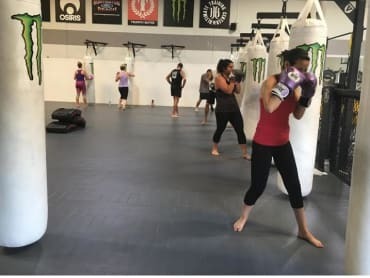 Huntington Beach Ultimate Training Center's Muay Thai Kickboxing program is a structured workout program that teaches techniques that are authentic as well as many practical and effective self-defense skills. With each new Brazilian Jiu Jitsu class you take at Huntington Beach Ultimate, you'll be perfecting your self-defense skills while getting an incredible workout that will leave you looking, and feeling, nothing short of incredible. Teaching one of the world's most popular Martial Arts, our highly-qualified instructors will make Jiu Jitsu classes fun and exciting for your child as they learn the importance of respect, maturity, and sportsmanship. 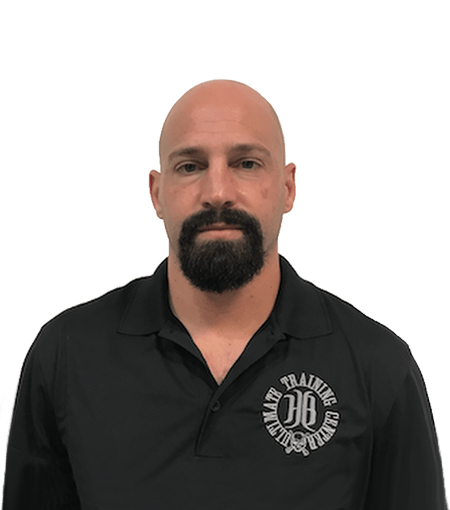 The Huntington Beach Ultimate Training Center is the first complete Mixed Martial Arts Training Center in Southern California and argueably the US. It has been a landmark for aspiring Mixed Martial Artists, and professional fighters since it’s opening January 1st of 2001. HBUTC provides unmatched training to make your fitness goals a reality. Train with the best in mixed martial arts and more importantly give your self the opportunity to learn techniques of self-defense. I had been looking for a place to kick up my work out. I do go to a local gym. Its pretty basic. Treadmills, weights, nothing fancy. I found the HB Ultimate Training center online. Read the details on their website and decided to give it a try. I got there and everyone was super friendly. They offered a free class and decided to go with the cardio kickboxing class. They have various classes as well and personal training. Skyler hooked me up with a pair of gloves and wraps. The instructor name was Ray and I have to say this guy knows how to teach a class! He is very motivating and encouraging, he had us moving! After class I signed up for a full membership. To do this day I love going there. I had a goal from the very beginning to lose 15 pounds. I weighed in at 195 at the start of class. Now I'm at 185 and counting. I highly recommend this place to those who are trying to lose weight or need a little bump in their routine. I have never felt more welcome and encouraged by trainers than I was at HBUTC. All of the trainers and staff at the front desk knew me by name pretty much after the first couple of months I started going here. I was doing the cardio kickboxing and boot camp, and both classes were very challenging and always made me feel like I was getting an amazing workout. I also liked that it started to feel like family after a while of going here. If you're in the area and want a challenging workout, I suggest you try HBUTC! !